The more chocolate the better, right? 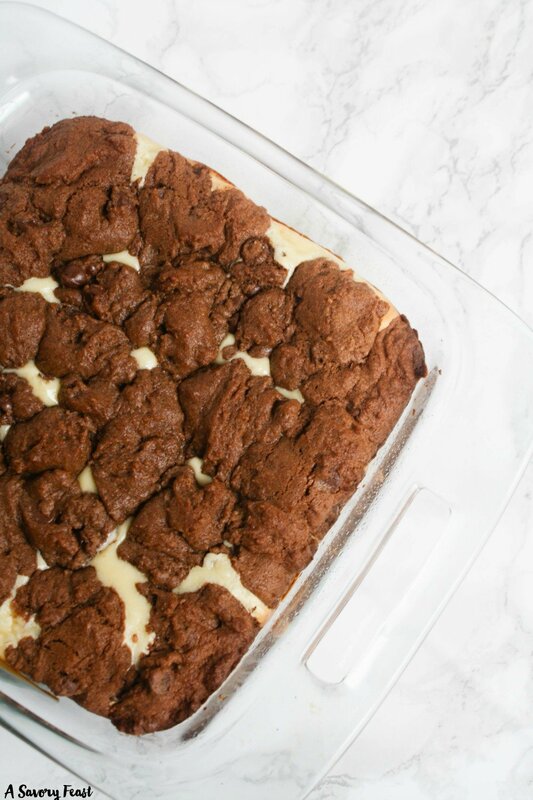 Especially when it’s Double Chocolate Cookie Bars with a delicious cream cheese layer! This easy dessert starts with a double chocolate chip cookie dough made from scratch. Next comes a cream cheese layer that is made with just 4 ingredients.